The life of a drug goes through many trials and several critical stages during its journey from the laboratory to the human body. One such important stage is heterocycle synthesis. 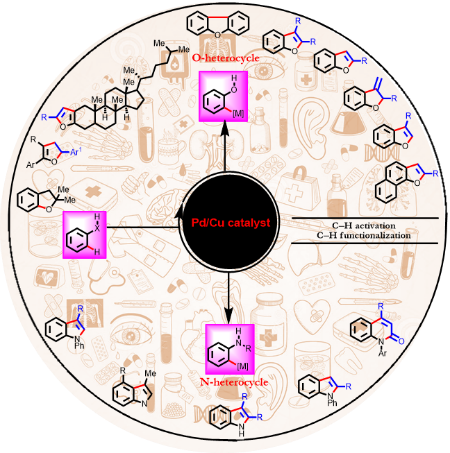 Sandeep Pimparkar, a researcher with the IITB-Monash Research Academy, works in the field of heterocyclic chemistry — a branch of organic chemistry that deals with the synthesis, properties, and applications of heterocycles. Heterocyclic compounds contain at least one heteroatom like nitrogen or oxygen in their ring, and they include all nucleic acids, many drugs, most biomass (cellulose and related materials), and many natural and synthetic dyes. Sandeep’s project is titled, ‘Synthesis of bioactive heterocycles via multiple C-H activation’ and he is working under the supervision of Prof Debabrata Maiti and Prof David Lupton.